Designed by Benjamin Yi, currently studying Industrial Design at Art Center College of Design in the United States. TopPaw re-thinks the identity of PetSmart by introducing a new product line. 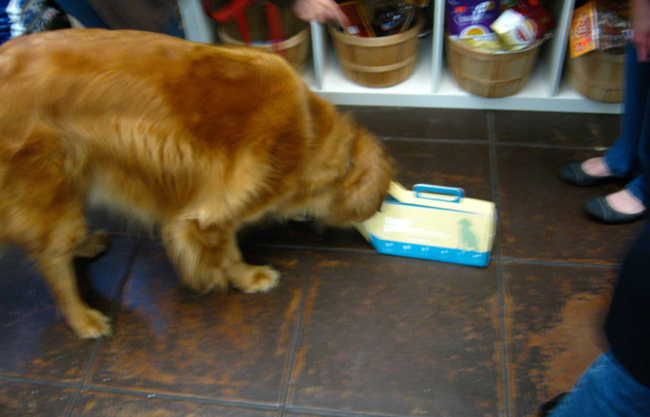 By examining the experience when purchasing dog food to carrying it while you travel, the customer undergoes a series of challenges. 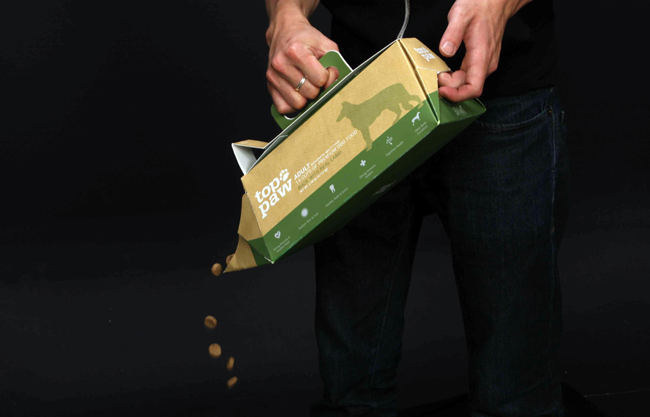 The primary focus of this packaging was to create a product for travelers who have difficulty handling their dog's food by providing them a "traveler's size" package. 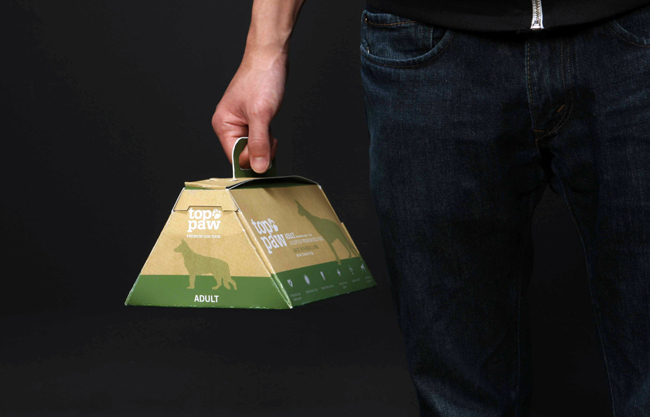 In consideration of the over brand identity of PetSmart, Top Paw is the perfect size to be given away as a gift to new adopters at animal shelters. The first moments shared with a new pet is very valuable, and this precious time can be shared with Top Paw. 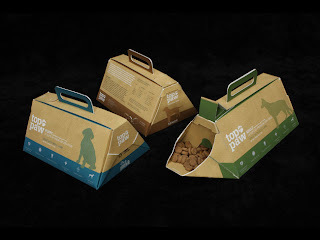 Top Paw package provides a limited supply of food and a food bowl, all in one package.